 Demo is fully functional apart from 5 line maximum. No time limit! 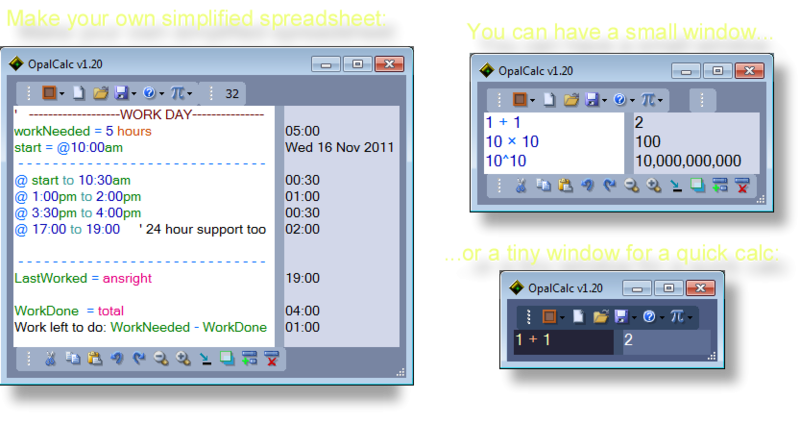 For simple day-to-day use, OpalCalc feels more natural and "human" than Excel, at least for me. By being different and targeting a narrower use case than traditional spreadsheets, OpalCalc has managed to carve itself a uniquely valuable niche. OpalCalc is a brand new type of calculator for the PC. As easy to use as Notepad or a word processor, OpalCalc allows you to insert natural language as part of the sum, along with multi-line support so you can go back and adjust your previous calculations. Want a tiny footprint on the screen for a single sum? Resize accordingly. Want it to fill the screen for heavy-duty work? OpalCalc can adapt. PCWorld "Step Away From the Spreadsheet and Dig Donationware Gem OpalCalc"
MakeUseOf.com: "OpalCalc: Cool Text-based Calculation App To Replace Your Windows Calc"
LifeHacker: "Perform Long Calculations in Plain English with These Awesome Calculator Apps"
Softoxi.com:"OpalCalc is a very convenient, reliable and effective calculator"
FindMySoft.com "OpalCalc � A Very Useful Calculator"
For years, PC calculators have been trying to copy handheld calculators in both functionality and appearance. Opal Calc sets out to disregard previous conceptions about how a calculator should look and act, and instead we considered how a calculator should behave with a full keyboard in mind. 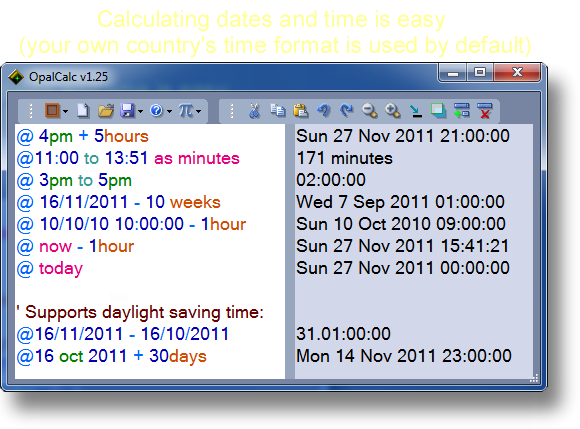 The result is simplicity itself, but with many of the advanced features you'd expect from say, a spreadsheet. Originally, I wanted something like this for myself, but after searching days for a suitable app, nothing turned up. One of the best I could find was a program called Console Calculator. Having used that for years, it's a decent and solid app surpassing most anything else, but it still suffers from the "command-line" style way of editing when pure text editing would be more flexible. SpeQ is another great program, with an interface closer to the classic notepad paradigm, but it lacks the split panel, doesn't feature live updating, colour coding, or allow words in the sum. Finally, I found an application called "Soulver" - an app with the dual-frame design I initially had in mind! The current PC version was too old and had many bugs, but it turned out the Soulver team made great strides in developing a version for the Apple Macintosh. Our hearty congrats go out to Aqualia for creating a wonderful piece of software, but I couldn't wait for a Windows port, hence OpalCalc is the result after years of work. Multiple undo/redo, zoom in/out, etc. Comma decimal point support for Europe, Russia, and South America etc. Completely DRM/key free to avoid hassle! The demo/'lite' version is fully functional, except for a 5 line limit for calculations. To overcome this limitation and help support the development of OpalCalc, upgrade using credit/debit card, or through Paypal (user license lasts forever, including updates, and there's no faffing about with keys or passwords). If you are a school, business or other organization who wants to use more than 10 copies of OpalCalc, please contact me for a mass-purchase discount.